The Jerr-Dan 50/60 rotator is available in various layouts to fit suburban, urban and rural applications – available in Single Steer, Tandem Steer, 5-Axle configurations. 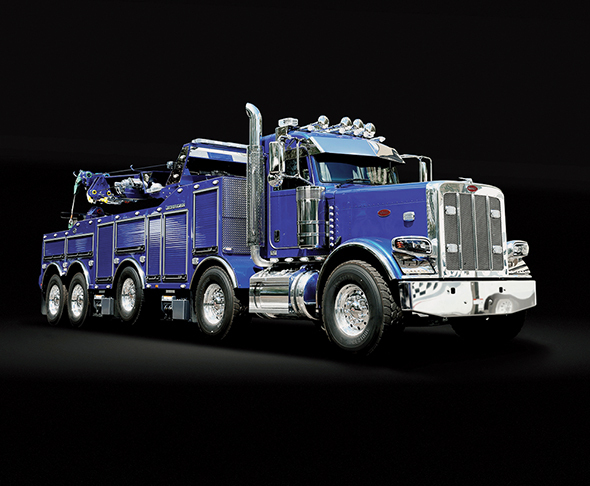 Features include: 20-, 35- and 50,000-lb. planetary winches, integrated Spading feature equips the unit for angular and perpendicular recovery capabilities, leveling capability on grades up to 7 degrees. Fitted with the JFB Body Storage Solution System, these units can arrive with the necessary gear, organized for effective and efficient incident management operations. Call 800-926-9666 or visit www.jerrdan.com.